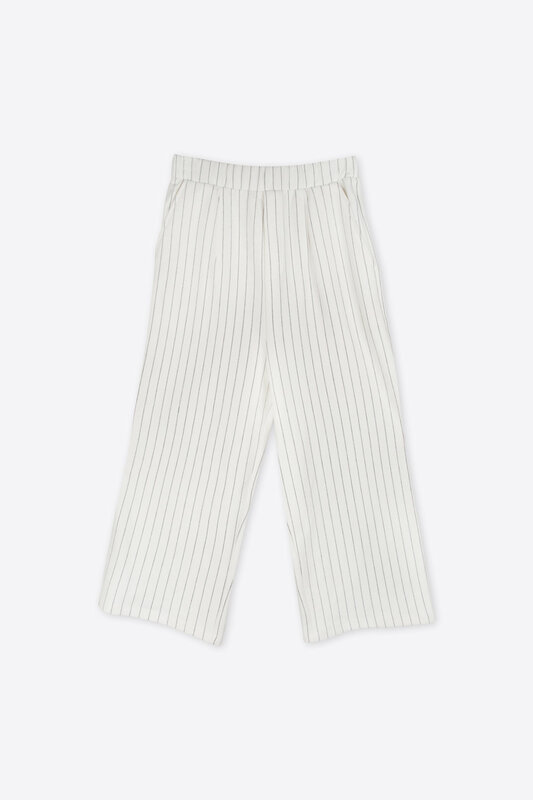 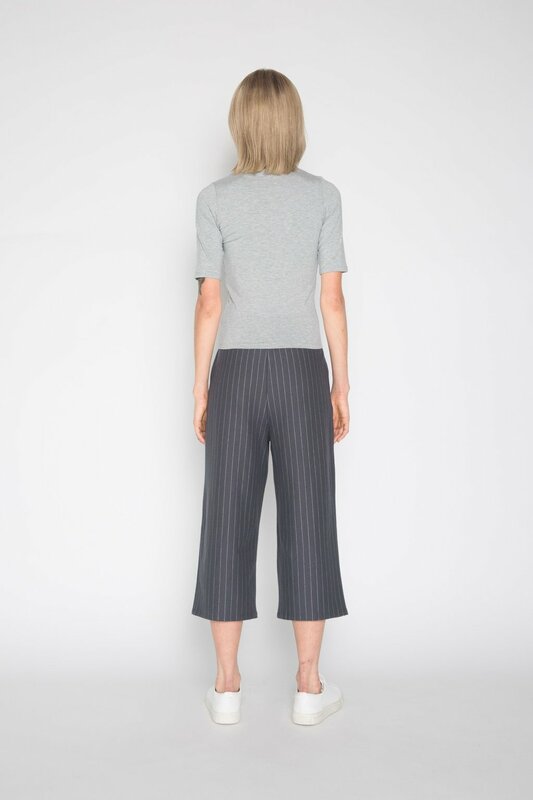 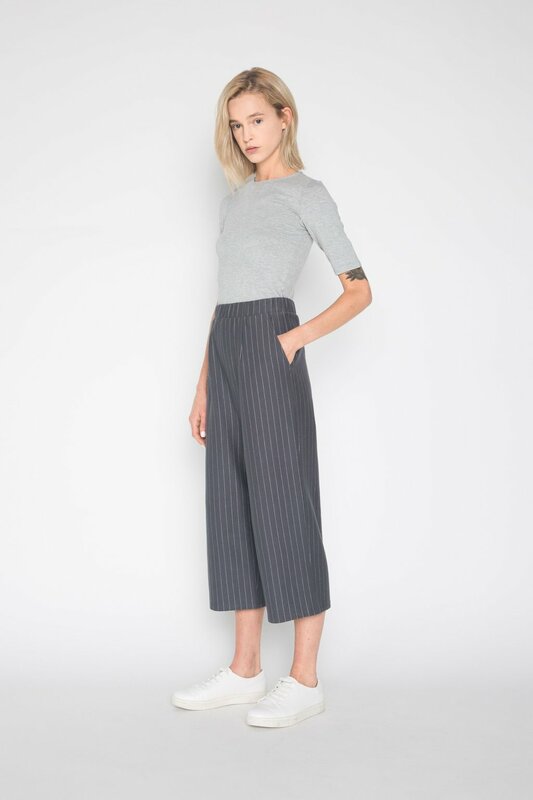 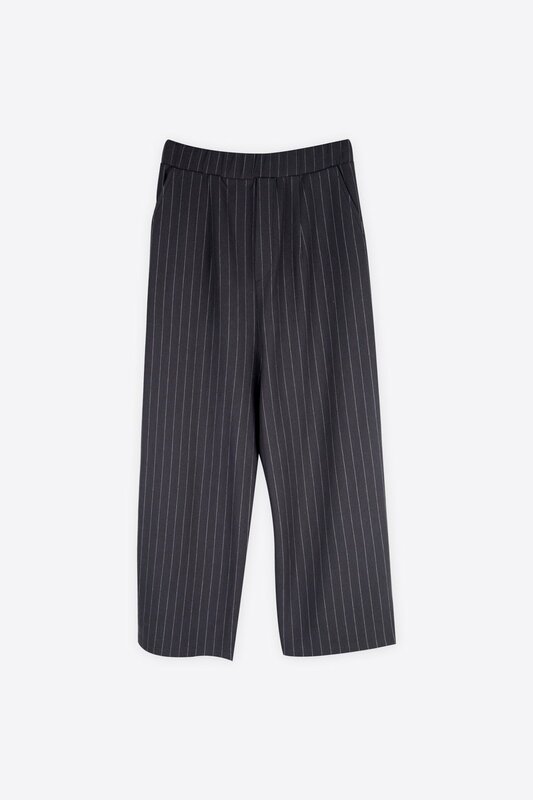 Featuring a flattering high-waist fit, these pants feature a cropped length, wide legs, and an elastic waistband for maximum comfort. 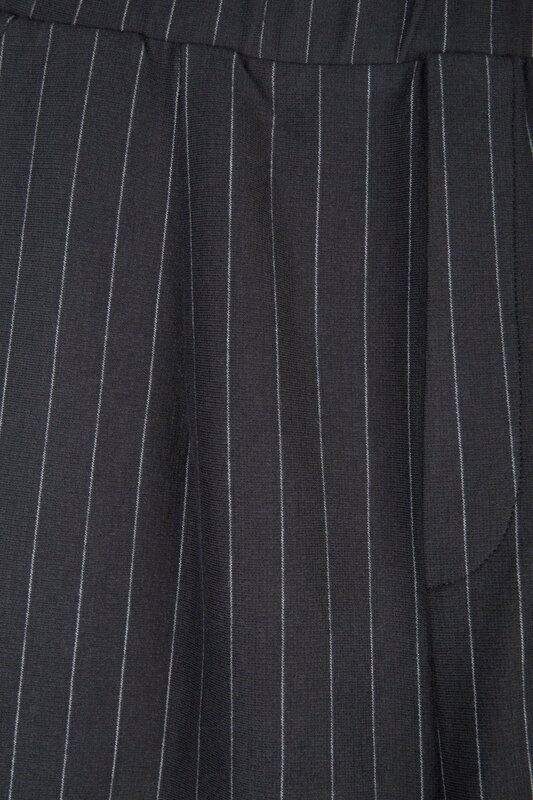 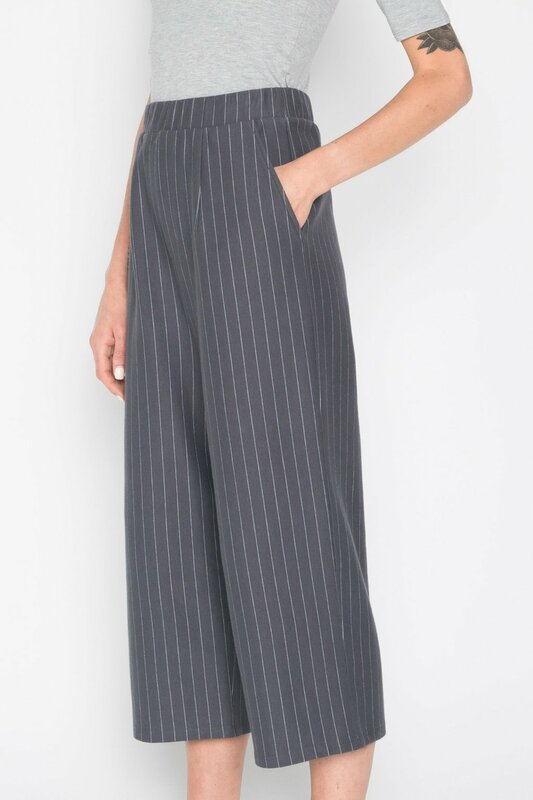 The pinstripes and zipper-front look-a-like detailing give this piece a tailored touch so you can be comfortable in style. 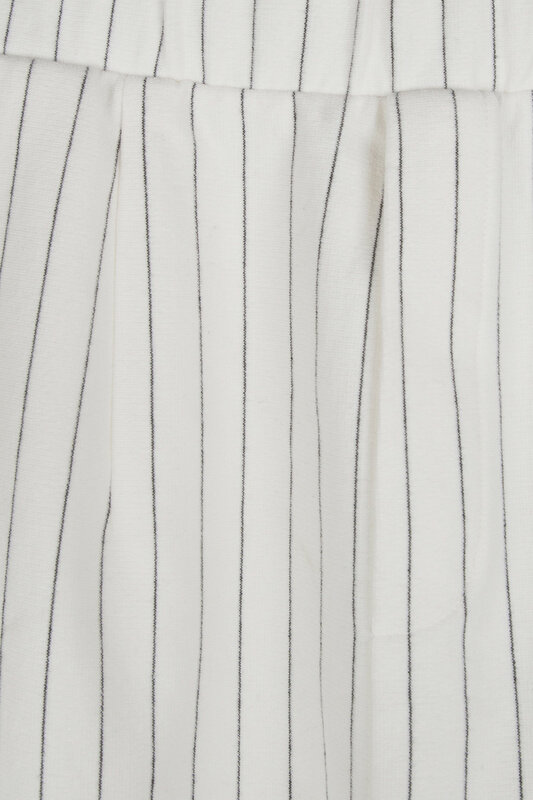 Pair with a t-shirt and sneakers for a casual yet sophisticated everyday look.